Typography is an extremely powerful element of every design. 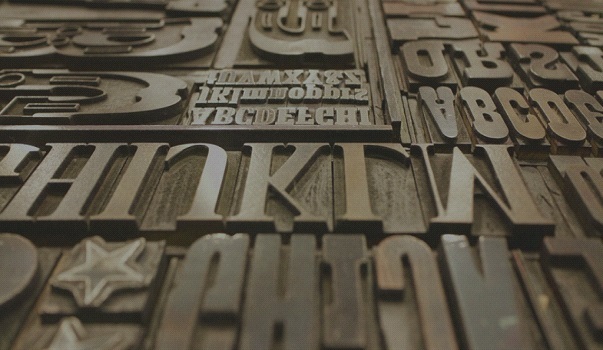 Fonts are not just there to put a message in words, but are also an important part of a design. They solidify branding, add to emotion, evoke the general feeling, and are often the prime segment that will catch the eye of a viewer. We can safely say that if your fonts are slightly off, then your whole design will suffer because of it. 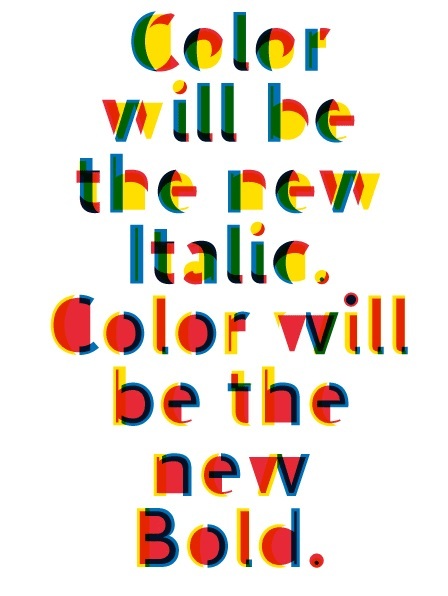 As with every other element of design, typographic trends also change and flow with time. The world of fonts is rapidly expanding and designers are constantly pushing the boundaries of typographic art to stay in line with technological changes that are happening every day. Typographic trends: What to expect in 2019? This year typographic trends are nothing short of surprises. We can expect to see much more of bigger, brighter, and bolder designs, together with 3D, hand-written, and retro types as the most popular. Google fonts are having another comeback while responsiveness is the most desired quality this year. 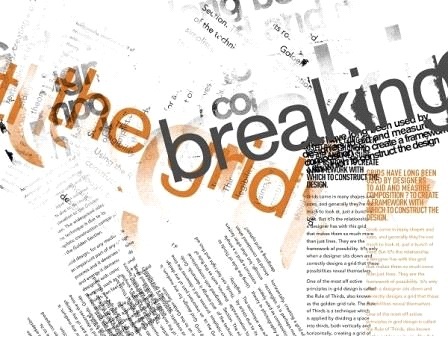 Among the typographic trends that will surely stand out is the continued interest in chaos. Yes, you read it correctly. Chaos is the new black, so to speak, and the chaos that marked politics worldwide in the previous years has found its visual expression in design as well. Here is the list of the hottest trends in typography for 2019. Find the good use for them in your work and keep up with the competition! 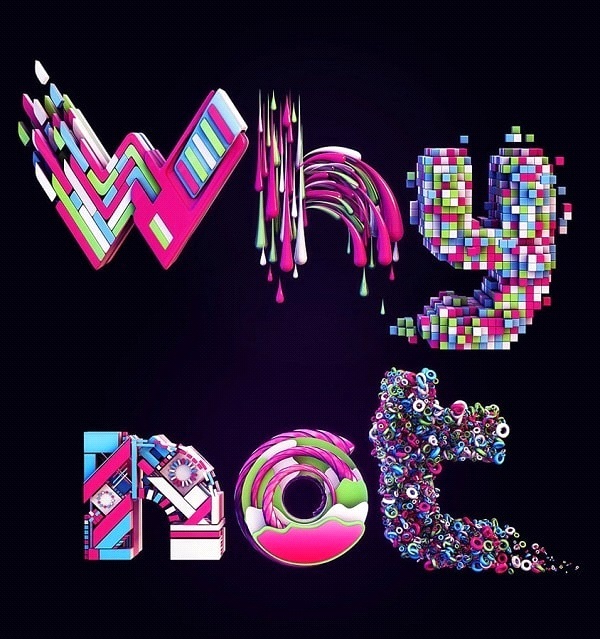 One of the leading trends in the last few years, creative typography requires imagination and freedom of expression. Don't be afraid to experiment and bring to life some of your craziest ideas. Creative and original typography can put you up a notch above the others. It is playful, sometimes quirky, but it’s always a sure eye-catcher. This technique can be combined with others or used solely. It's your choice. One of the leading trends from 2019 that will dominate 2019 as well is cropped typography. 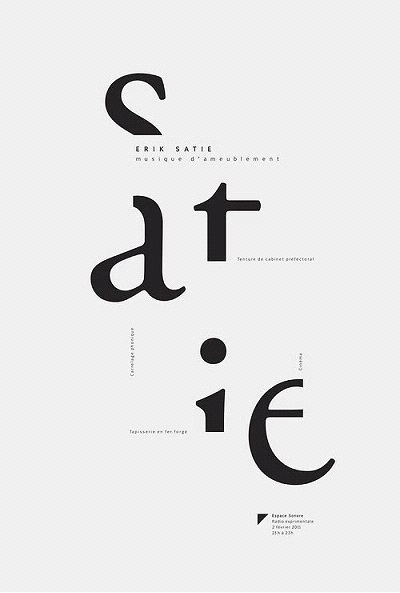 A form of typographic minimalism, it will appeal to those who prefer highly reduced forms. It consists of partial erasure of letters that should be done carefully, so the readability is preserved. You can play and try to push it to the limits, but remember that the final design still needs to convey a message. As we mentioned above, chaos comes to typography as well, bringing unaligned, unconventional, and chaotic types and word orders. Even if you are doing logo animation with some online video maker, check if chaotic typography or design is available. This year we will see an increase in typeface variety. Sans serifs have been dominating the digital world for some time now, but in 2019 serif fonts will have their surprising return as well. This is due to an increased acceptability of serifs on screens helped by better screens and amazing options of Google Web Fonts. 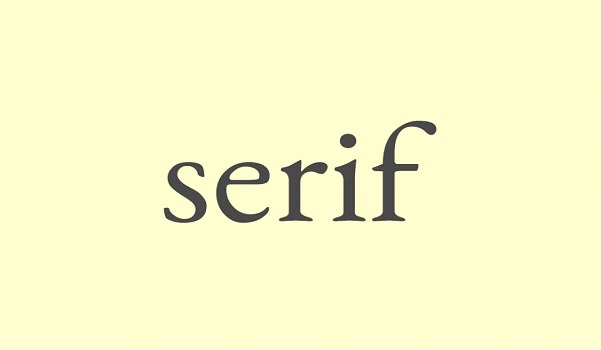 Serif fonts also convey the classical feel of the printing press and remind us of the birth of many legendary publications. The releases of Photoshop CC 2018 and Illustrator CC which enable color font use means that we can expect an increase in this technique since also in 2019. Known as chromatic fonts as well, color fonts contain additional data such as gradients, textures, and colors in SVG format. They make a welcome departure from minimalism and have a nostalgic feel of the print advertising golden era. The post-WWII era aesthetic will continue to be popular this year also, and the trend will be replicated in fonts as well. 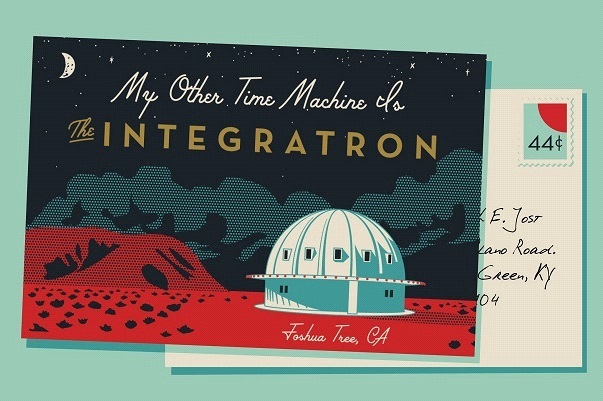 We’ll see a lot of low slung sans-serifs and loopy scripts that will add a mid-century feel to brands that use them. Hand-lettered fonts have been popular for some time now. They add a casual feel and are perfect for brands that rely on this offbeat charm. 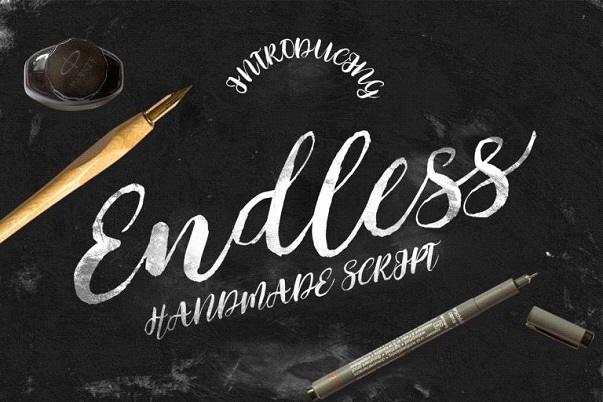 Mostly clean and rounded in the past few years, handwritten fonts are now becoming more scratchy and edgier. This type of fonts proliferated on posters, book covers, and other prints, but we see also their increased use in web design, animation, logos, and headers. Ever since Instagram changed their logo background to a gradient, we saw a huge surge in use of this technique across the internet. Now it moved also to fonts so we will see much more color than before. Gradients will not be just in the background. Types will feature the color gradation in different variations, from simple stylizations to full 3D effects. If you combined them with a gradient background, you’ll be well ahead of the curve. The graphic design world is constantly evolving, so some trends may last longer while others may fade away in a few months. It depends on you which trends you’ll choose to follow, and which ones will end up forgotten. Even if you are going to try something completely different, it’s good to be up-to-date and see what will generate buzz in 2019. Before you move on to create your typographic design or get into a text animation, remember that this year will be all about bold and color fonts, serifs, and chaotic, cropped, and creative typography. Don't be hesitant to explore your creativity and pick the most engaging options for your brand.